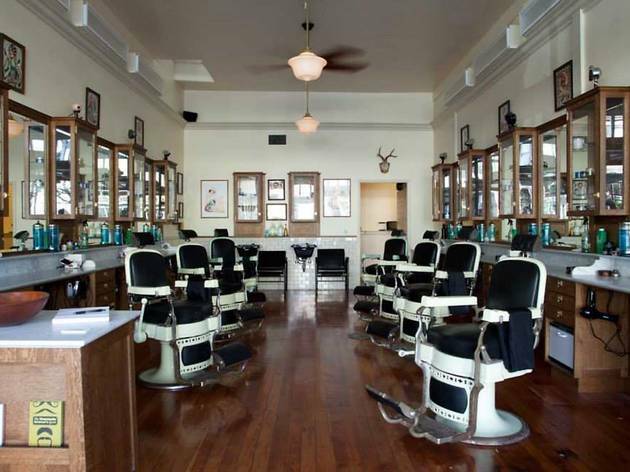 If you’re a gentleman about San Francisco in search of a stellar buzz cut, precise beard trim or straight razor shave, you’re in luck: The city by the Bay has a surprising amount of quality barber shops. From the no-nonsense, old-school style hair salon to the new wave hipster shop offering hangover facials, there is a barber for every babe out there. While finding the right spot is a personal thing—much like your preferred coffee shop or tattoo shop—you can’t go wrong with one of the following places. 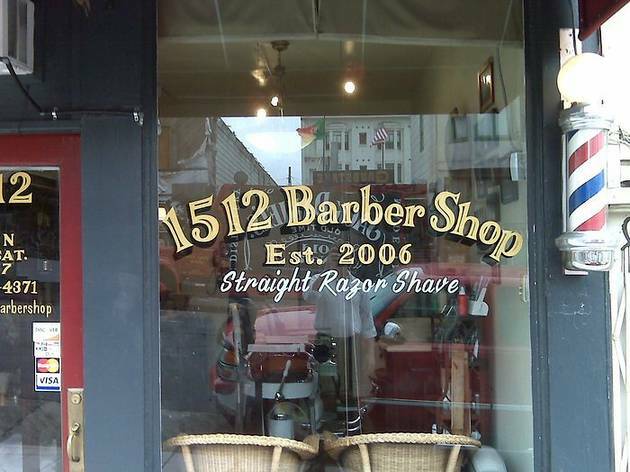 Here are the best barber shops in the Bay. In the mood for a private, luxurious experience? 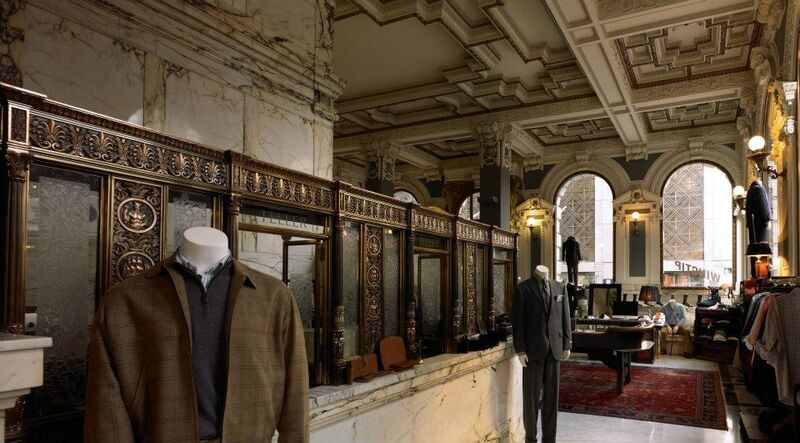 Head to Wingtip, a sophisticated men’s emporium directly across the street from the stunning Transamerica building. 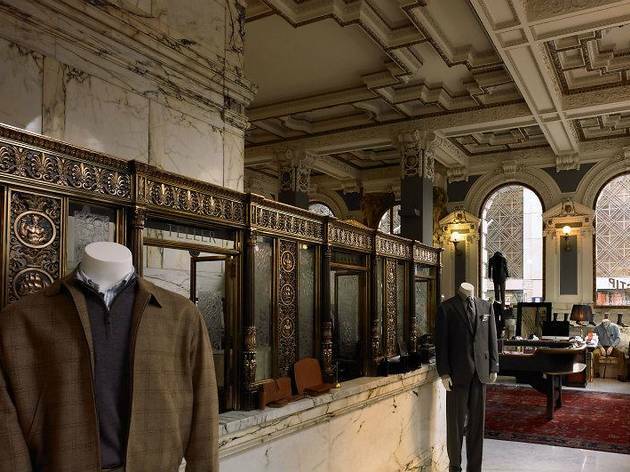 Part department store, part private club, Wingtip has everything a guy could want—be it a set of cufflinks, a bottle of barrel-aged scotch, a shoe shine or a shave. 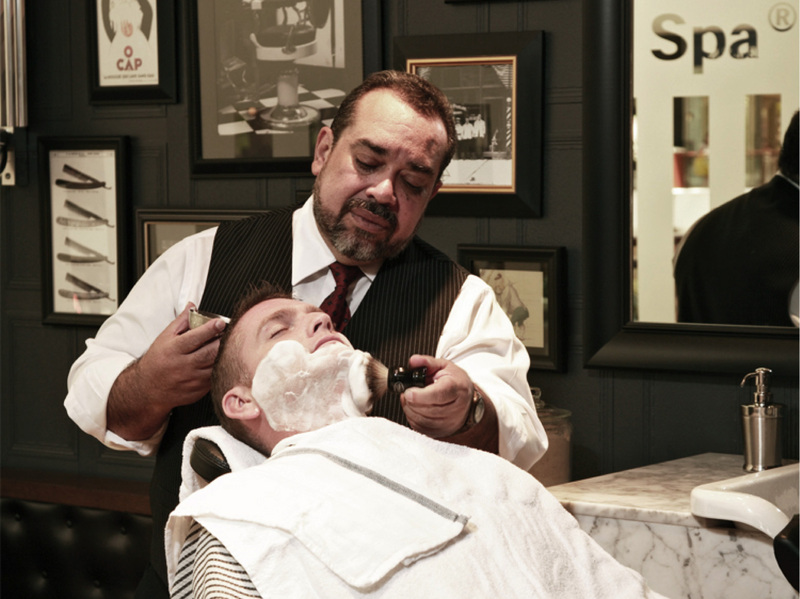 Wingtip’s master barber Joe Roberts has been barbering for the past 23 years, so it’s hard not to relax and take a load off as you sit back for a shave or haircut at his expert hands. He has quite the following (some of his clients have been regulars for fifteen years), so he’s very busy—make sure to book your appointment in advance. 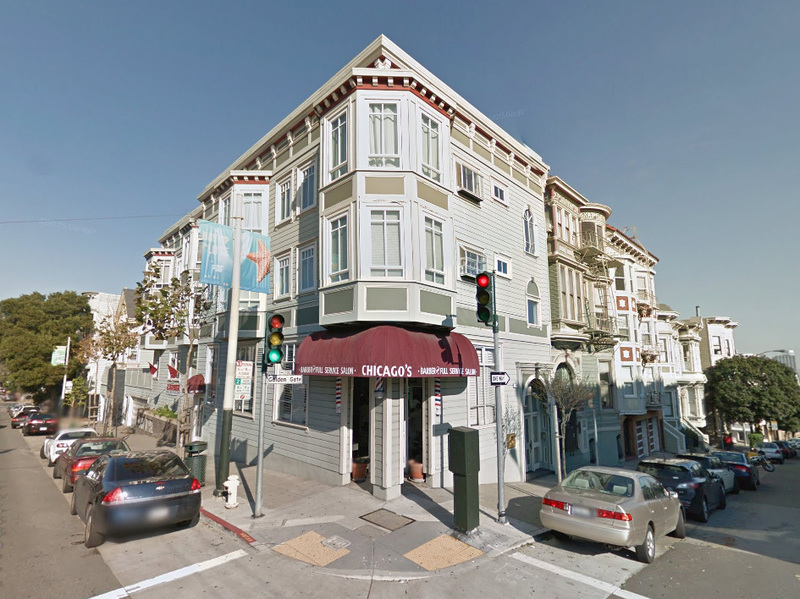 Peoples Barber Shop has two locations: one in San Francisco and another in Oakland. The SF shop has a busy, bustling atmosphere; it feels almost like it could be a bar or record shop instead of a barber (check out the black and white photos of San Francisco’s past and the snazzy two-toned tile and wood floor). 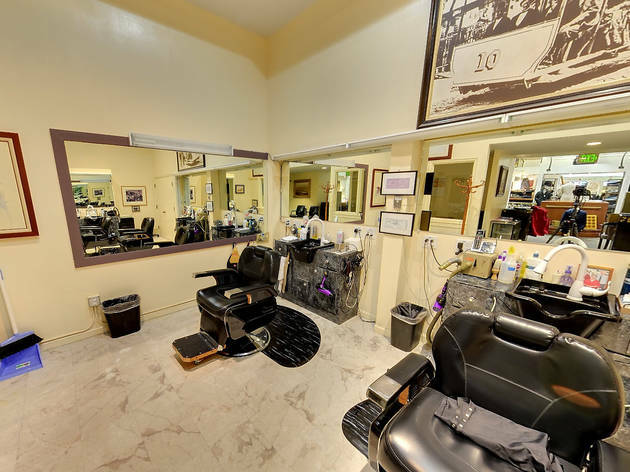 Peoples has ten tidy barber stations that welcome both walk-ins and appointments. Services are traditional—buzz cut with fade, hot towel treatment and head shave are a few listed on the menu—but luxurious. The staff is all about bringing back the traditional barber shop experience; you’ll be offered a drink when you arrive, receive a quality cut or shave and can pick up an assortment of products like Layrite Super Hold or J.S. Sloane Beard oil. The clientele is a mix of old and young, hip and professional, tattooed and suited. Mission District gents know the best place to get a super clean shave is on Valencia Street at Fellow Barber. 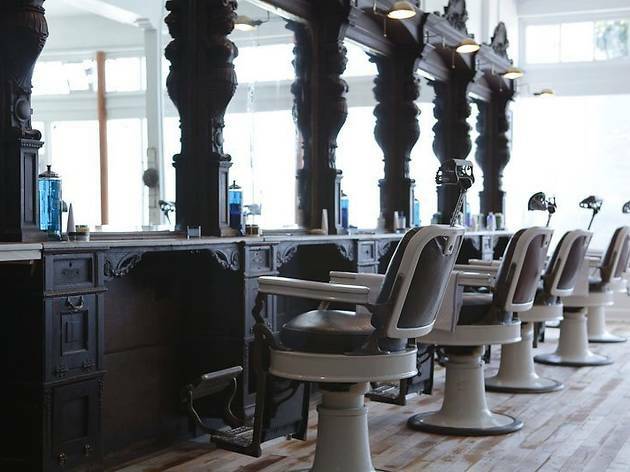 A destination barber and men’s apothecary with three locations in New York and a second in San Francisco on Market Street, Fellow strives to be a place where guys can hang out with each other in addition to getting a good hair cut. The all-wood space has rustic charm with a white wood ceiling, brown and white barber chairs, vintage vanities and yellowing, framed maps on the wall. 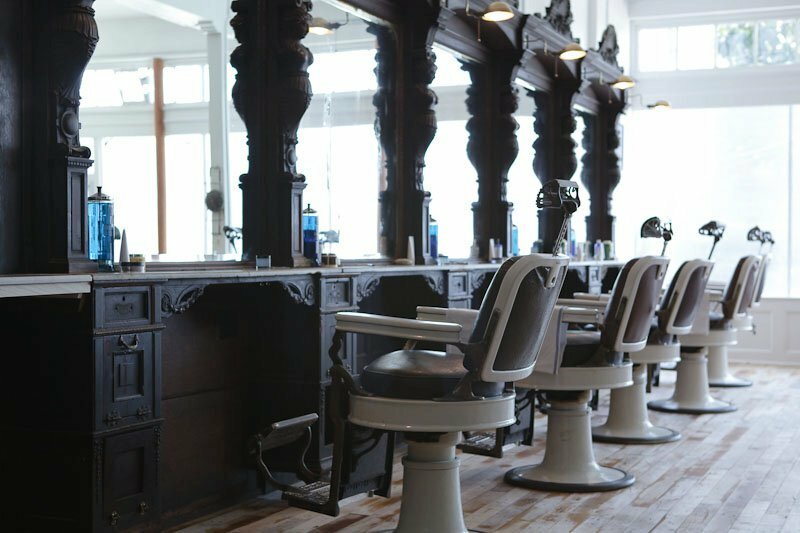 All cuts include complimentary shampoos, and Fellow makes its own line of men’s hair products, so if you like the way the pomade feels on your fingers, you can buy it and take it home with you. Fellow also offers a hangover treatment that cleanses and tightens pores with a relaxing series of hot and cold towel applications, for dudes who may be having a rough morning. 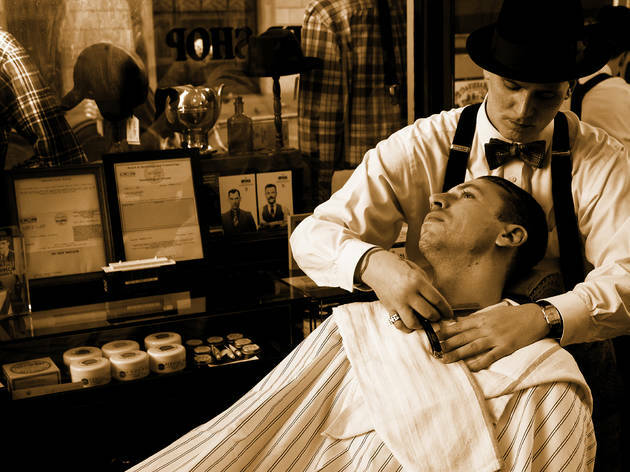 Similar to Wingtip, Cable Car Clothiers is a menswear store with an intimate, two-chair barber station at the front of the shop. Nicky the Barber dresses like an old-school mob boss, but it’s all part of the shop’s charm. The haberdashery originally opened in 1939 as a British goods store, so there are plenty of museum-like cases filled with vintage razors, old shaving ads and black-and-white advertisements. Only four no-fuss treatments are offered here: a cut, a shave, a shave and cut combo and a mustache/beard trim—and appointments are recommended. Nicky has treated ex-mayor Willie Brown and singer Macklemore to new dos, so you know you're in good hands when you sit down in his cherry-red chair. Looking for a straight-up barber shop experience with excellent craftsmanship in a no-frills atmosphere? Arcade is your place. 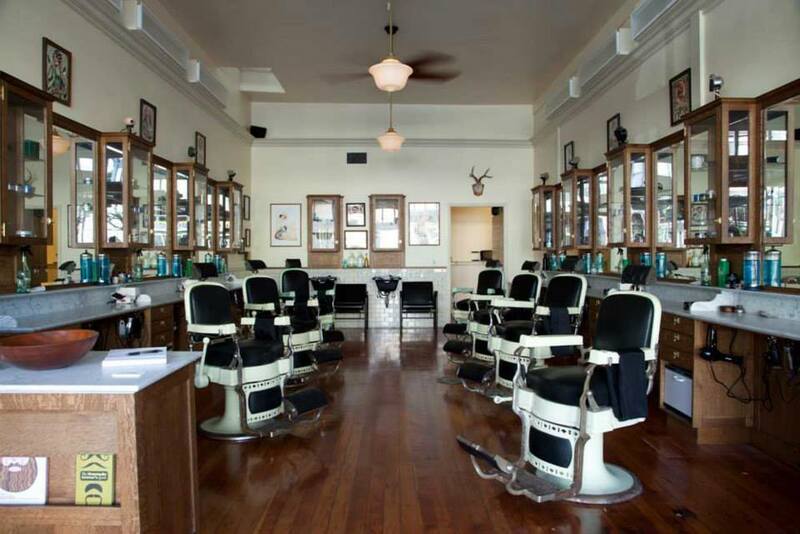 The three-chair shop is located Downtown at the back of the Hound, and features affordable cuts, trims and shaves by seasoned professionals in a simple, clean, white space. 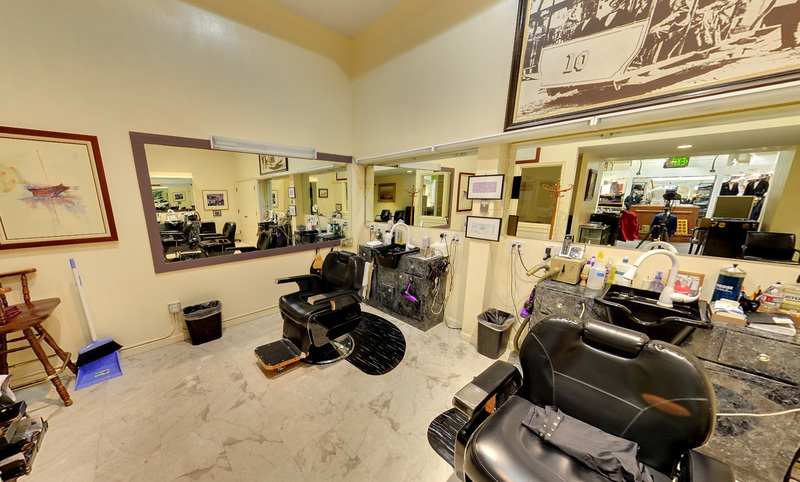 Larry and Jimmy are two of the best and oldest barbers around, and all of their cuts end with a stint in their mechanized shoulder massage chair. Also highly recommended: the hot-razor treatment to clean up those hairs on the back of your neck. The Art of Shaving is a national brand that specializes in teaching the modern man the elements of a perfect shave. At their Union Square location, Art of Shaving Barber Spa offers a series of shaving and trimming options: book a Royal Shave, Art of Shaving’s signature treatment, and get ready to relax in a big, vintage leather chair. The treatment starts with a hot towel and a protective layer of oil; hot shaving cream is applied before being expertly scraped off by a master barber with a straight razor; another hot towel is followed by a rejuvenating after-shave mask, and the facial is finished with a cold towel, hydrating toner and aftershave balm. 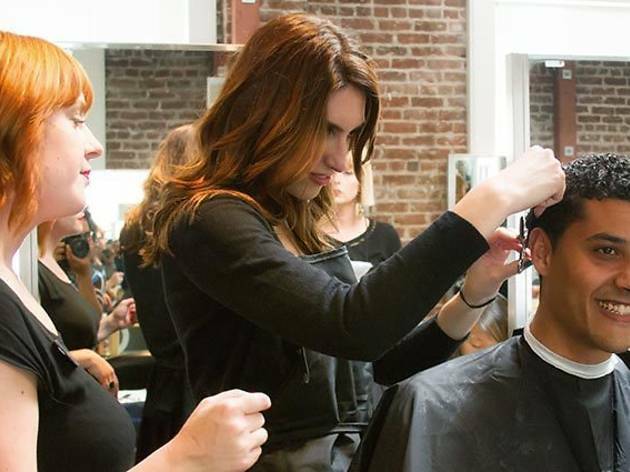 When you’re pressed for cash, head to the Cinta Aveda Institute. 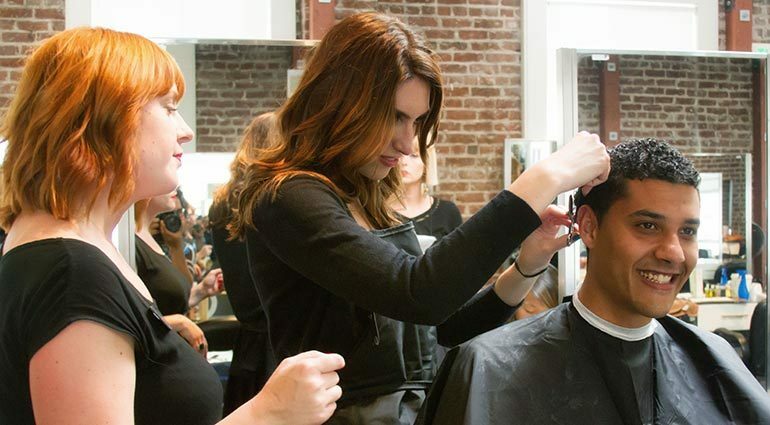 The city’s leading beauty school also has an entire program devoted to learning the art of barbering, where you can snag a $10 haircut including a stress-relieving head, neck and shoulder massage. Or a $5 express facial designed to cleanse and nourish the skin and reduce irritation caused by shaving. The school is state of the art with a clean—to the point of being almost clinical—vibe. It’s always bustling with people, and yet it’s easy to relax into your treatment. Note that sometimes services take longer than normal; your barber is most likely a student still learning how to perform the task.